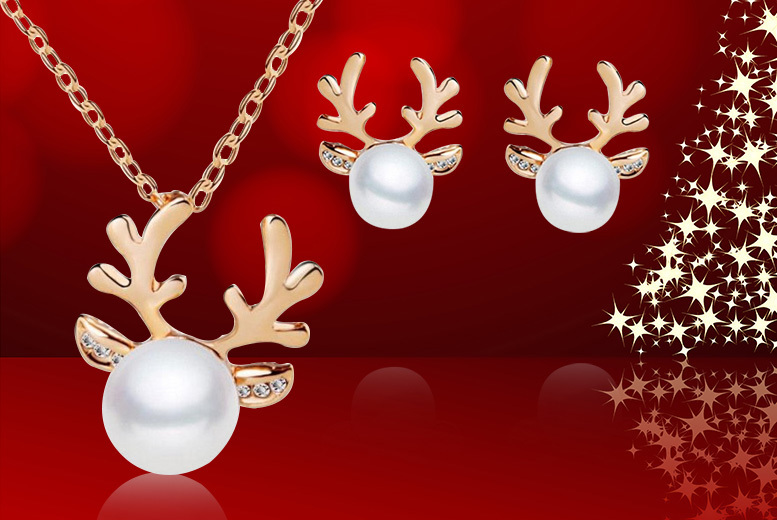 Get an imitation pearl reindeer necklace set. Includes a beautiful pendant set on a 400 mm chain! And a pair of matching earrings. Valid in two colours- gold or silver!